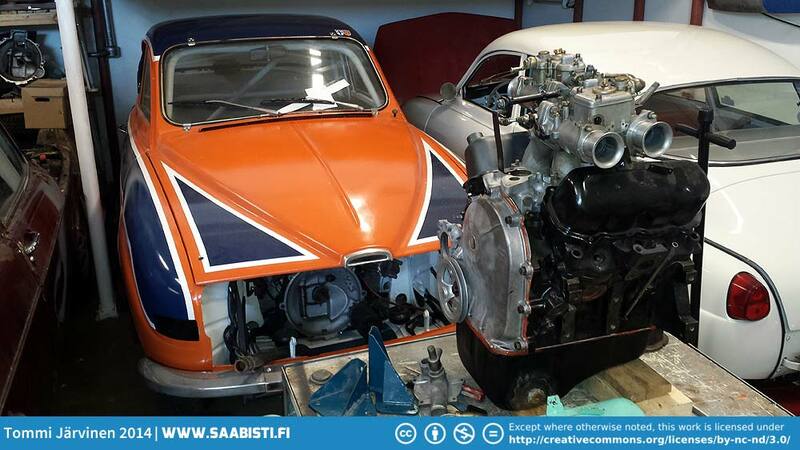 Saab 96 V4 Rally – engine build part 2. 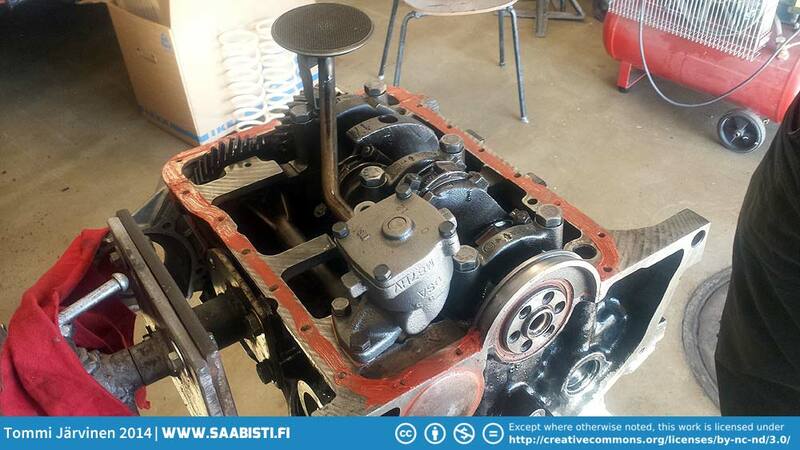 The first job on the high-flow oil pump was to upgrade the oil pressure. 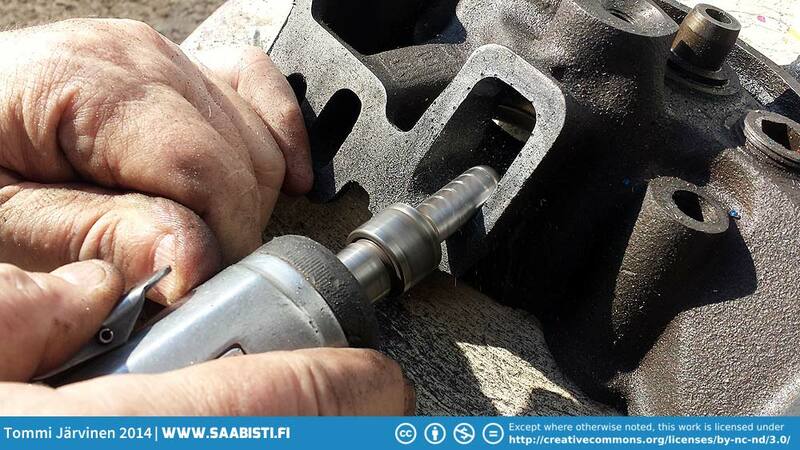 This can be done by inserting a washer under the oil pressure regulator spring (drill a hole in the cap, put a screw in and pull the cap out, shut the hole by welding). 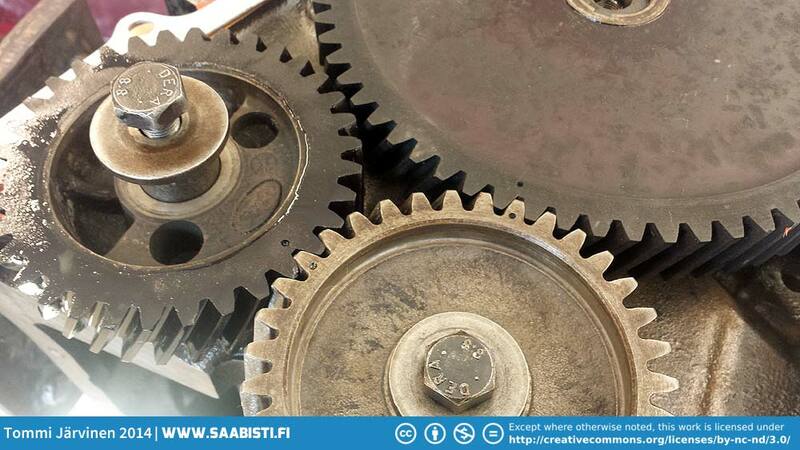 It is also a good idea to check that there’s no dirt or filings in the pump – even if it is a new pump. 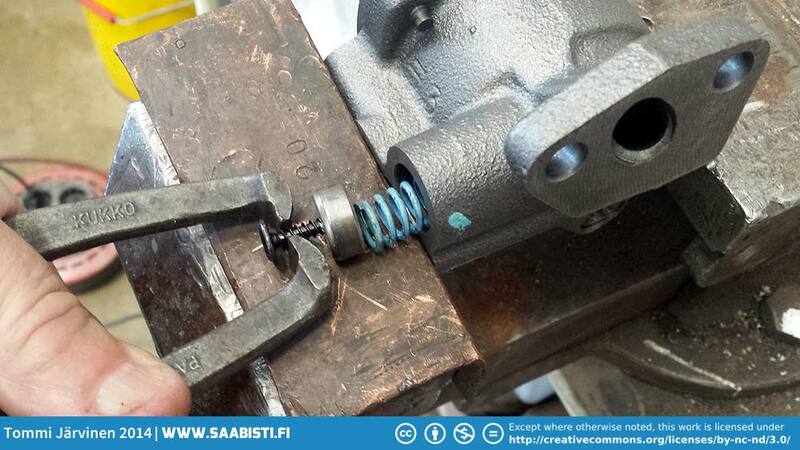 Opening the oil pump spring cap to insert a washer under the spring. 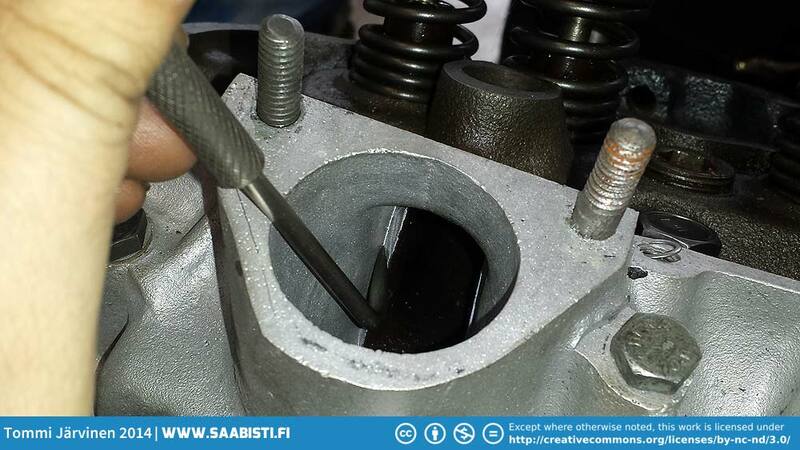 Inspecting the oil pump for dirt or filings. 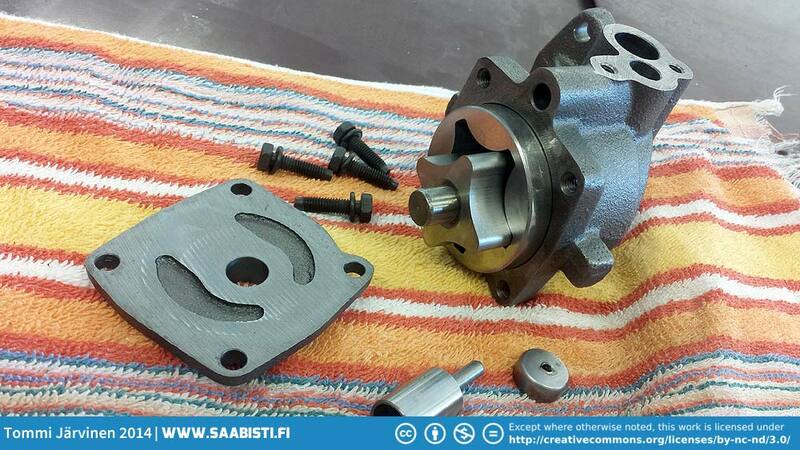 Making new oil pump gaskets. 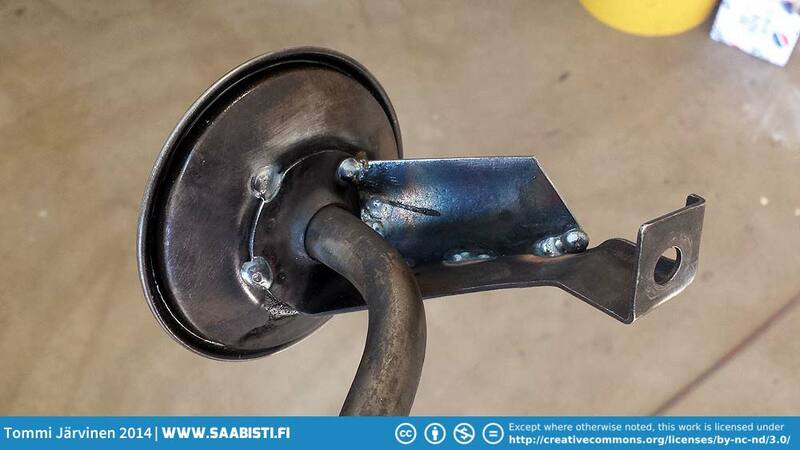 Strengthening the oil pump suction tube. Unfortunately I didn’t take any photos of putting the timing gear cover seals in. But basically it’s just two paper seals with a plate in between. 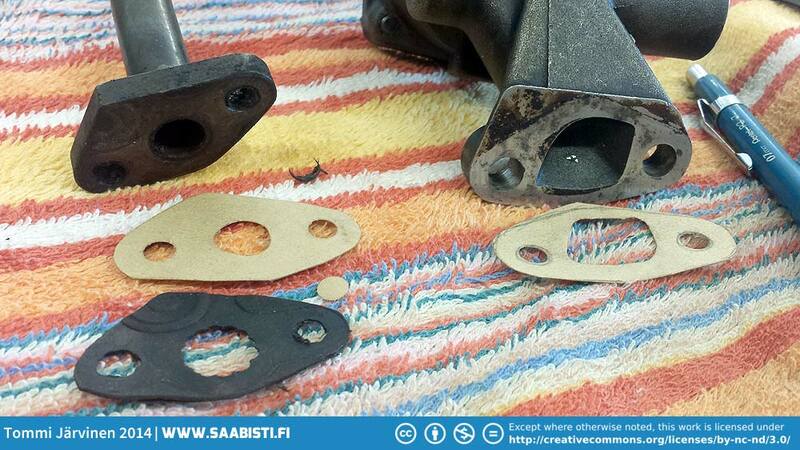 Just use a healthy amount of gasket glue to make sure it doesn’t leak. Timing gears installed and aligned. 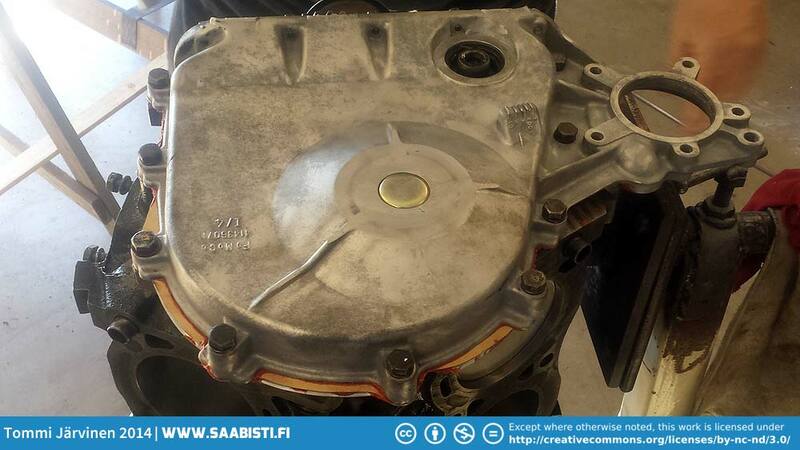 The modfied timing gear cover installed. 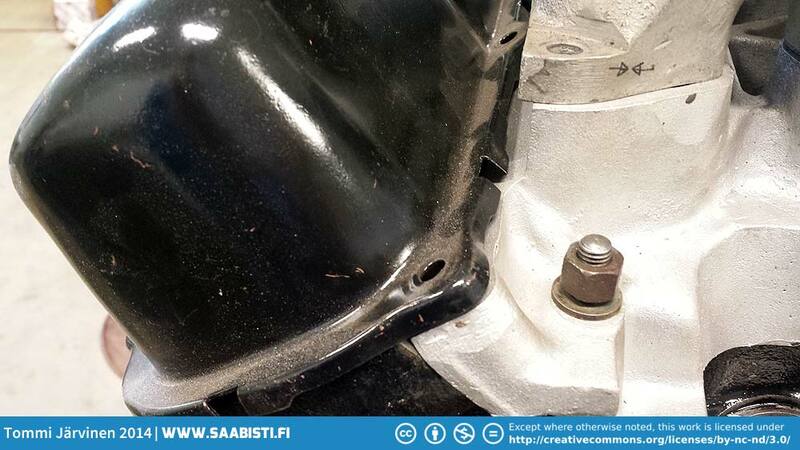 The car will have an electric fan so the fan bearing was removed and the hole plugged. 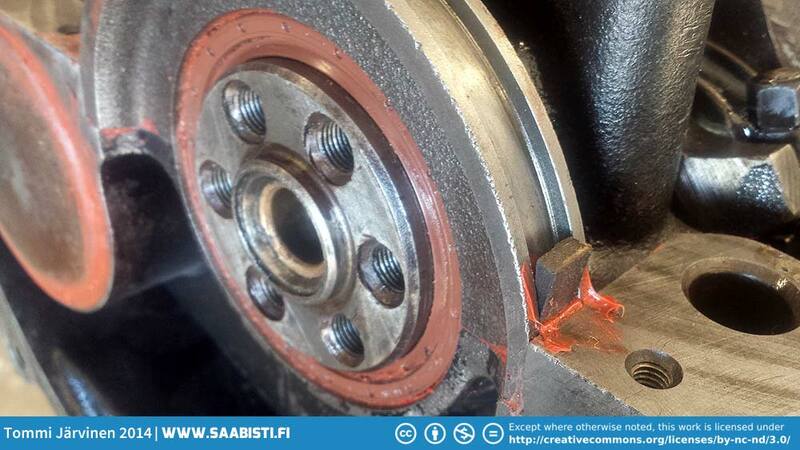 Crankshaft oil seal in. 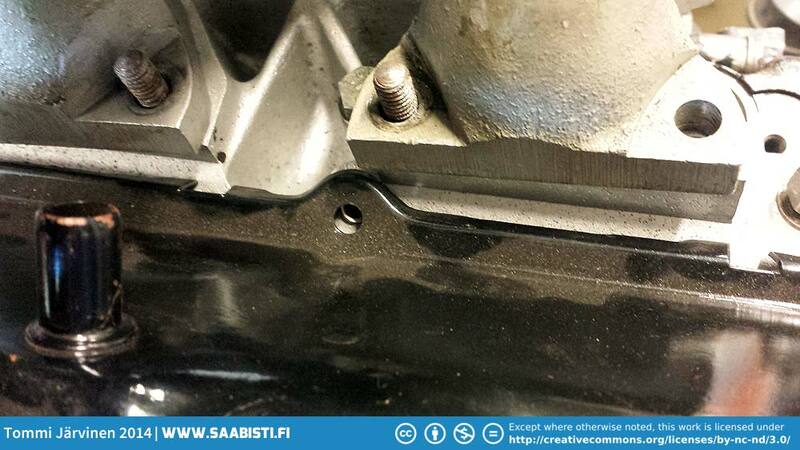 The small oil pan seal wedges are often missing an the space is just filled with gasket glue. Plenty of gasket glue to go under the oil pan seal. And putting in the oil pan. 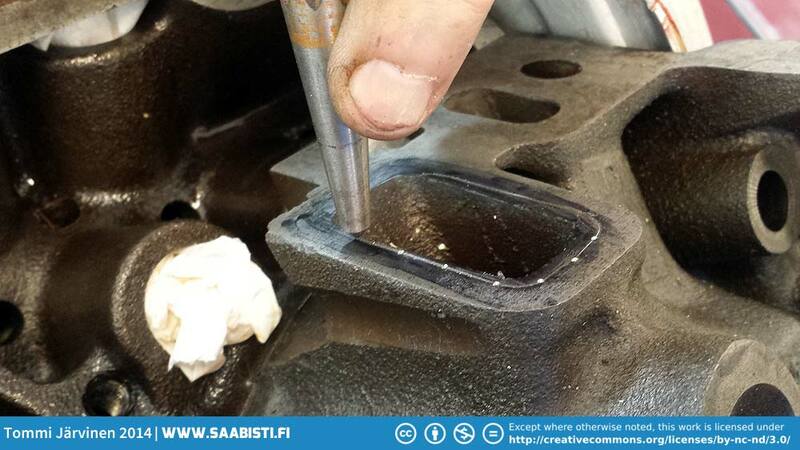 Test fitting the lower half of the intake manifold. 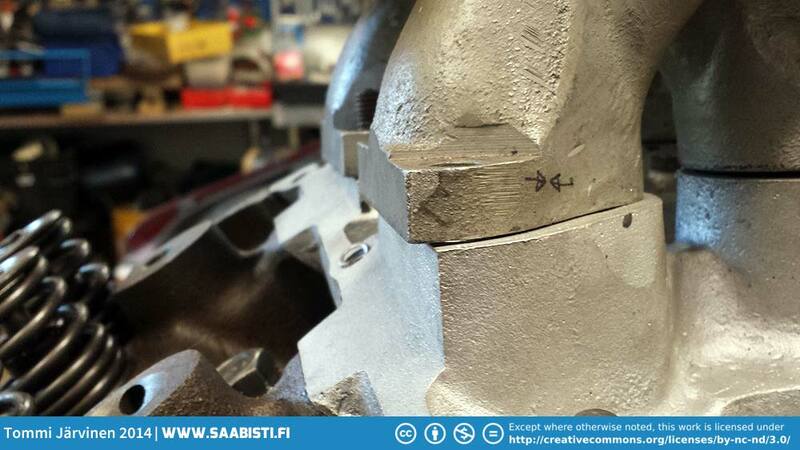 The upper and lower halfs of the intake had some serious misalignment issues. 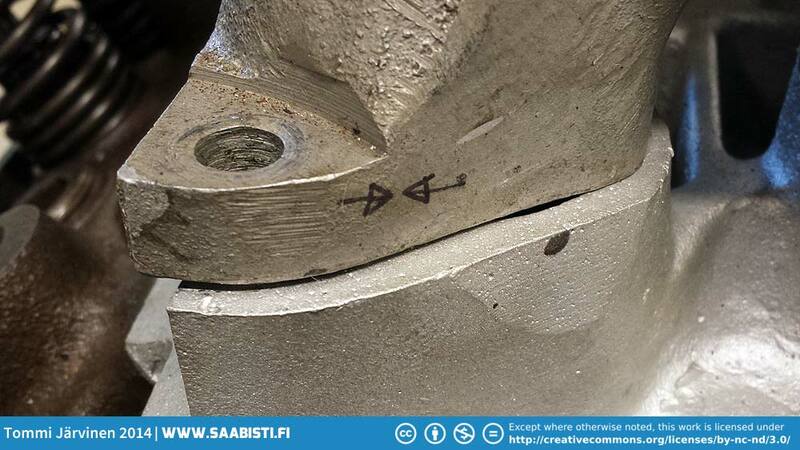 Looks like we need to open up the bolt holes to move the upper half over. Also the valve covers need a little modification to fit. 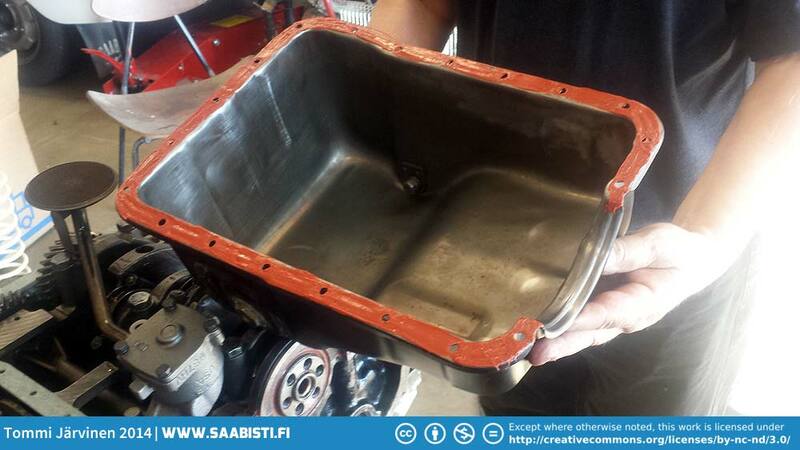 The crossflow intake manifold has a lot bigger port size than the stock Saab heads. So the ports on the heads need to be opened up a little. Scratch marking the port dimension on the block. Using a centre punch to mark the port dimension more clearly. 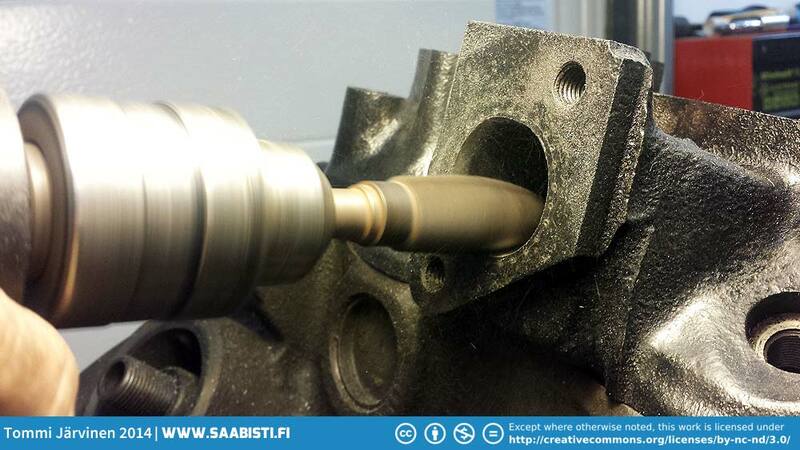 Grinding the port edges to correct dimensions. 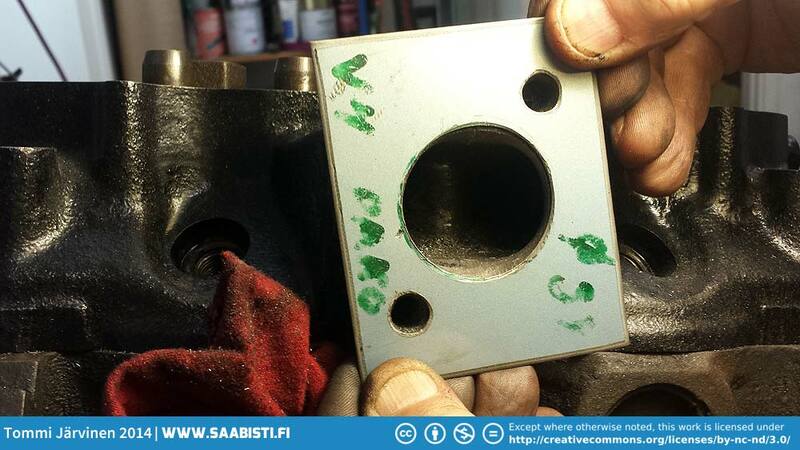 Checking the exhaust port dimensions against a template. 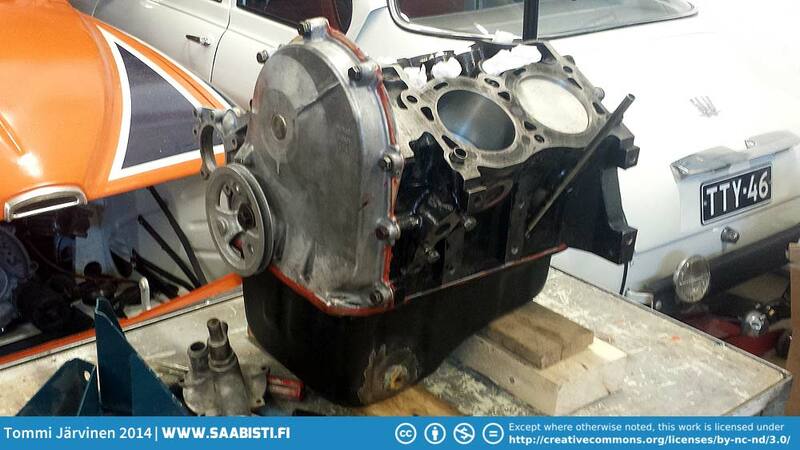 Previous PostSaab 96 V4 Rally – engine build part 1. Hello Tommi, That is a fine looking engine. Have estimated the horsepower and torque yet? 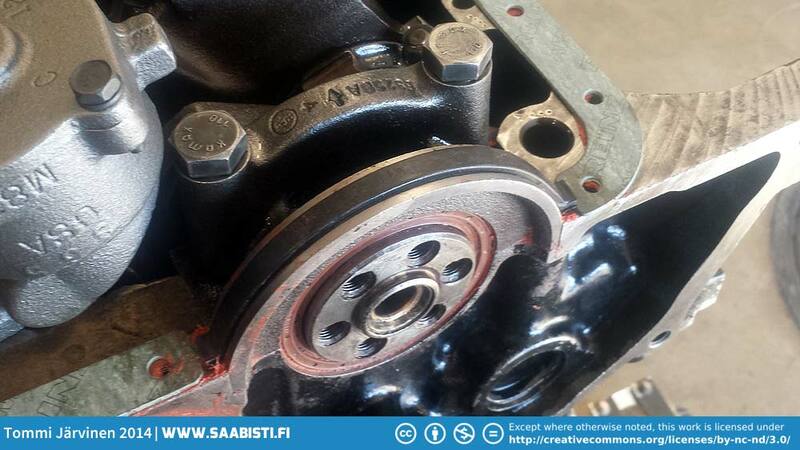 The company that rebuilt my engine lists that they installed a oil pump from a V6. I know when it first starts I have 60 lbs of oil pressure, driving 50 lbs and on idle 25 lbs. No shortage there. I have a question, who makes the best oil pan and timing gear gaskets, as mine has a leak and will be a one of the winter projects. 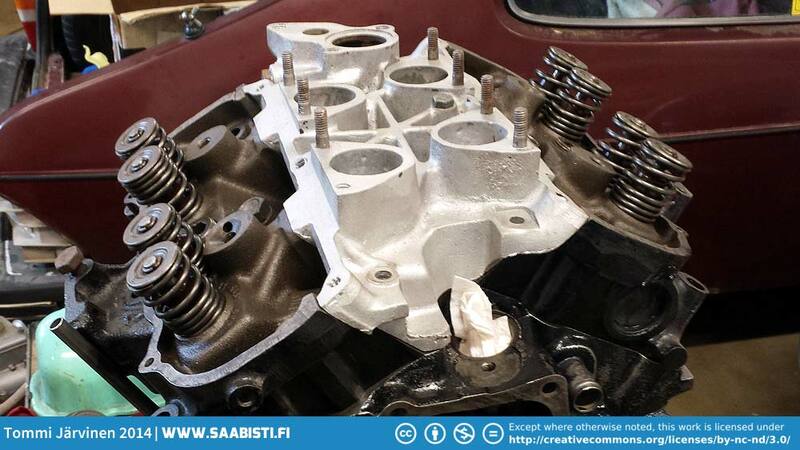 Also that crossover intake manifold with Weber Carb’s sure looks good. Now you have me looking for that intake setup. Here is another, what brand of shocks do you use? Besides all my questions, the photo of the front of the Rally car’s paint job is fantastic looking, another great job Tommi. And I’ll be looking forward to your next post. Keep up the great work. no, I have not measured the hp. It should be around 110 to 120 hp mark, but we shall see. Yes, the oil pump is from a V6, and as such should do very well in a road car. Upgading the pressure is just a precaution. The shocks should really be Bilsteins. Everybody I know uses them for rallying. I put in some old leftovers to save a bit of money. Thank you Tommi, I appreciate all your good advice, and will be looking for a set of Bilstein shocks. 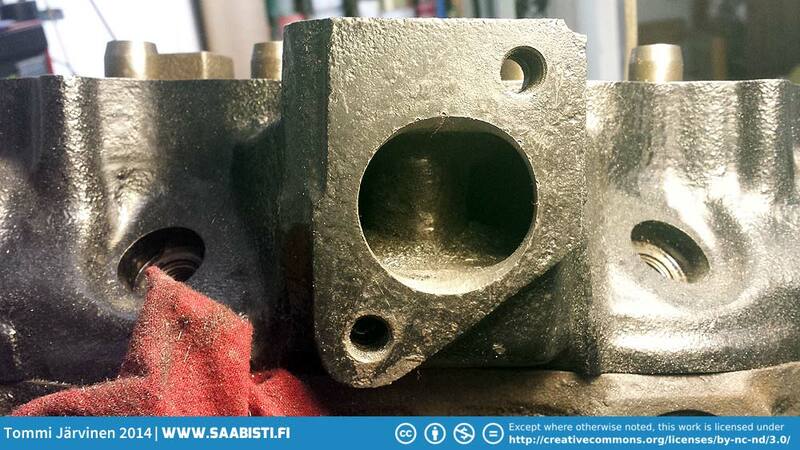 Now I am on the hunt for the same intake manifold you have on your rally car. I don’t readily know the parts numbers, but I’ll ask around. (Already did, but haven’t got an answer yet). 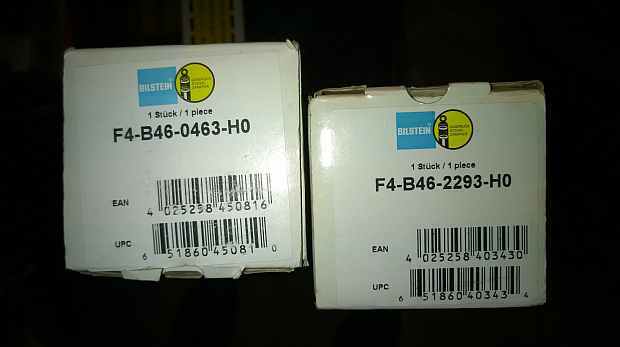 I finally got the Bilstein numbers from Tikkis. Where can I get one of those manifolds? 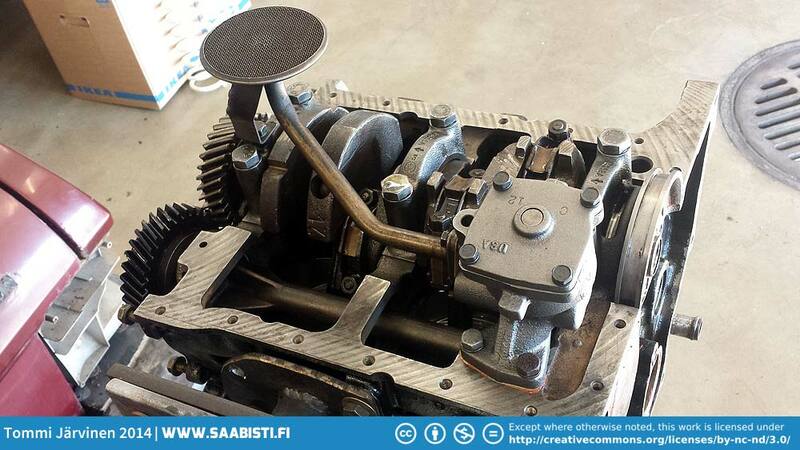 Also you could make a post on various Saab forums that you want to buy one. 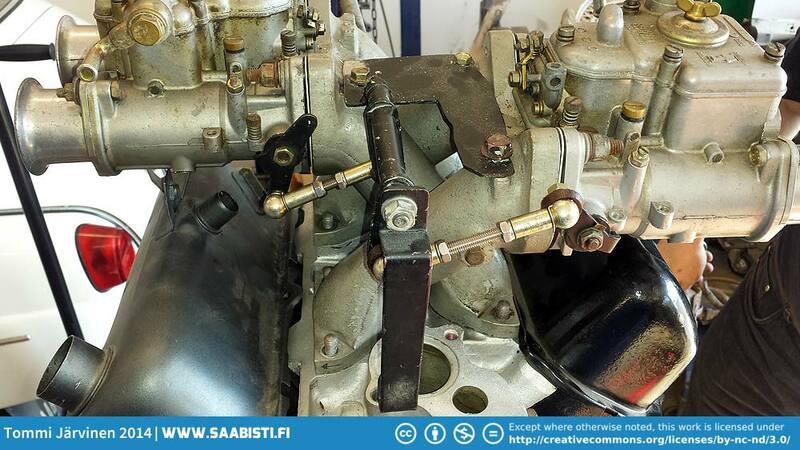 Same goes with the carburettors, Weber DCOE 40 or 45 will do. Where can I buy one of those manifolds?